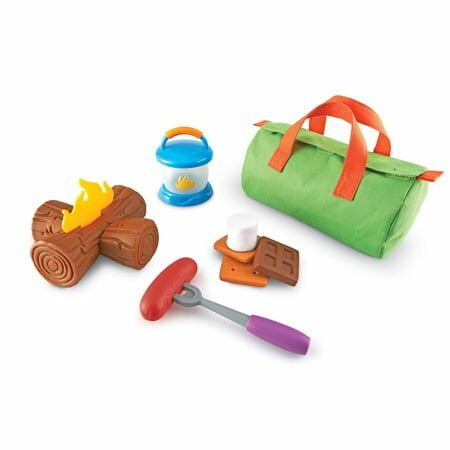 Home / Shop / For The Classroom / Manipulatives / Imaginative Play / New Sprouts® Camp Out! Gather ’round the campfire! Enhance the first campout experience at the youngest age with this adventurous set. Little ones can build their very own log fire and roast a hot dog when hunger sets in. And no campout would be complete without a yummy s’more! A glow-in-the-dark lantern adds to the fun for adventures day or night. All pieces store in a handy duffle bag so a campout is ready at a moment’s notice, inside or out.